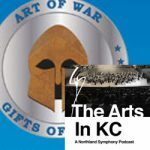 As part of the “Art of War: Gifts of Peace” art exhibit at The Box Gallery (1000 Walnut St., KCMO), the gallery hosted a poetry reading event on July 13 at 5:30 p.m. The event was free and open to the public. 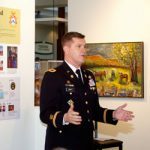 The art exhibit is part of the CGSC Foundation’s “Art of War Initiative,” a project designed to preserve, promote, and protect the life and longevity of the CGSC collection. The poetry reading event featured poets with military backgrounds – both veterans of the Vietnam War. 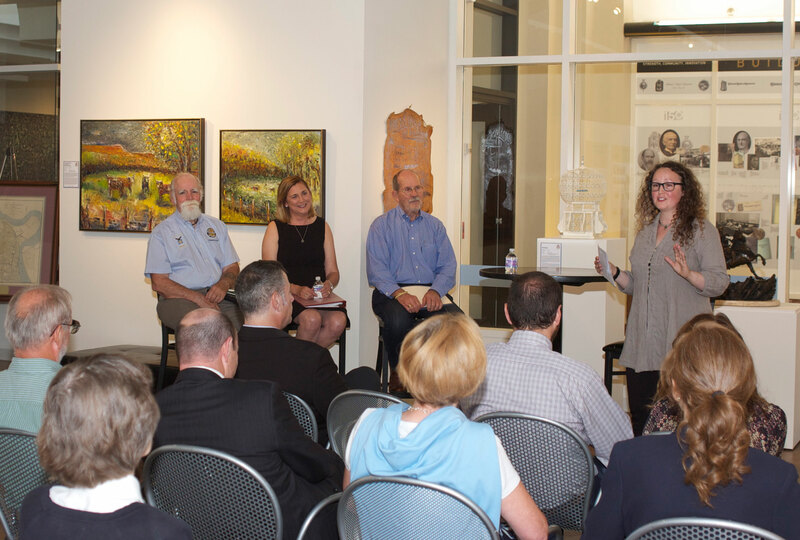 Last month the gallery hosted a leadership panel that featured military as well as civilian leaders. Special events conducted during the art exhibit are intended to extend the initiative’s reach and public interest. The first poetry read in the evening was by local KC poet Bill Baeur. Bauer was unable to attend and selected veteran and friend George Biswell to read a selection of his poetry. HC Palmer, a retired physician and former battalion surgeon with the 1st Infantry Division in Vietnam, was the second poet. The evening’s emcee was Cindy McDermott, who is active in veterans programs and writing workshops. For more information on the participants visit the event page on the CGSC Foundation website. In the photo above Poppy Di Candeloro, an independent curator and researcher with the Todd Weiner Gallery, introduces the group. For more photos from the poetry event visit the CGSC Foundation photo album on Flickr.